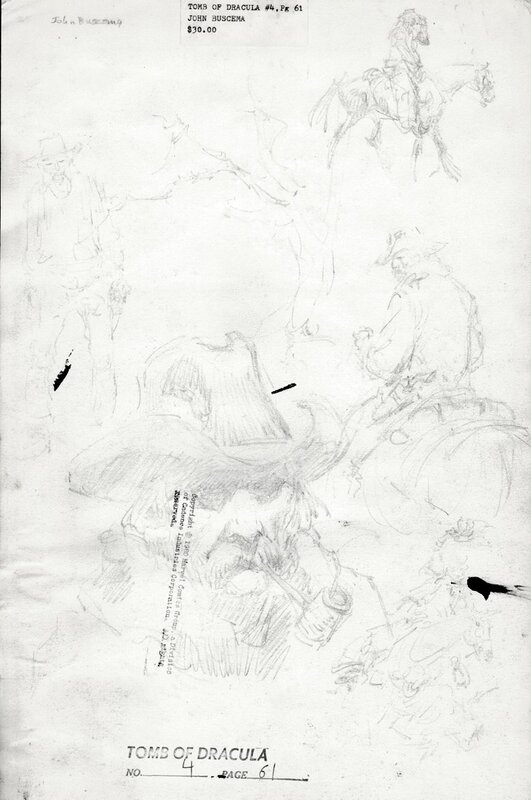 Click Here To See The Pencil Drawings On Back Of Page. 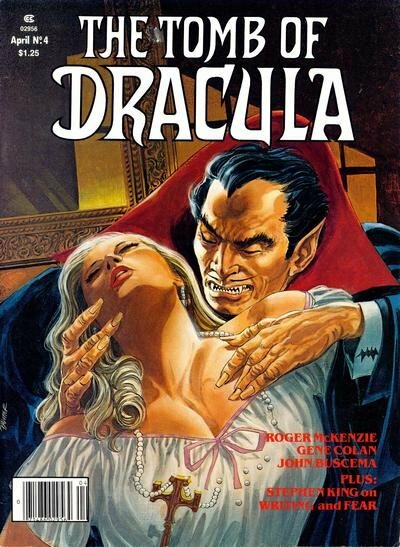 Click Here To See Tomb of Dracula #4 Book! Click Here To See Vellum Lettering that Comes With This Page. 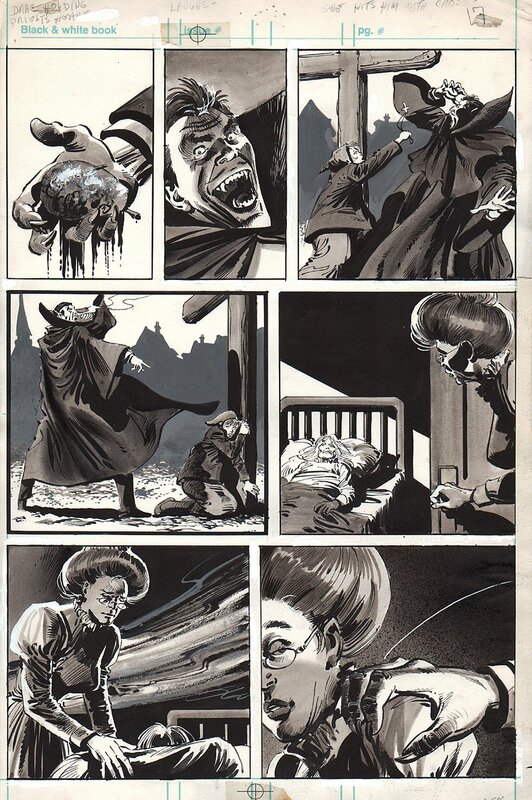 Check out this very nicely drawn 1979 Dracula page with STUNNING wash tones added for an amazing effect. This detailed page was penciled by the great John Buscema, and inked with great wash tones by the great Klaus Janson, from the story titled: "Death Vow!" This nice page features Dracula grabbing a heart he just pulled from a body as he tries to tempt a young child! 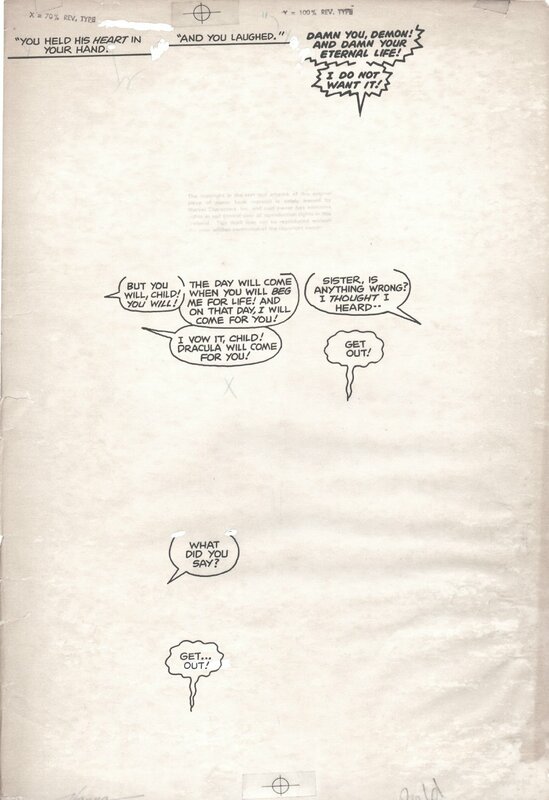 There are beautiful John Buscema light pencil drawings on the back of this page, which can be seen in the red link above. Also, the lettering was drawn on a separate vellum sheet which can be seen in the extra red link above also. A great opportunity here to own a nice, RARE wash tone 1970's Dracula page by this incredible art team!